home in a wonderful location right on the estuary edge. 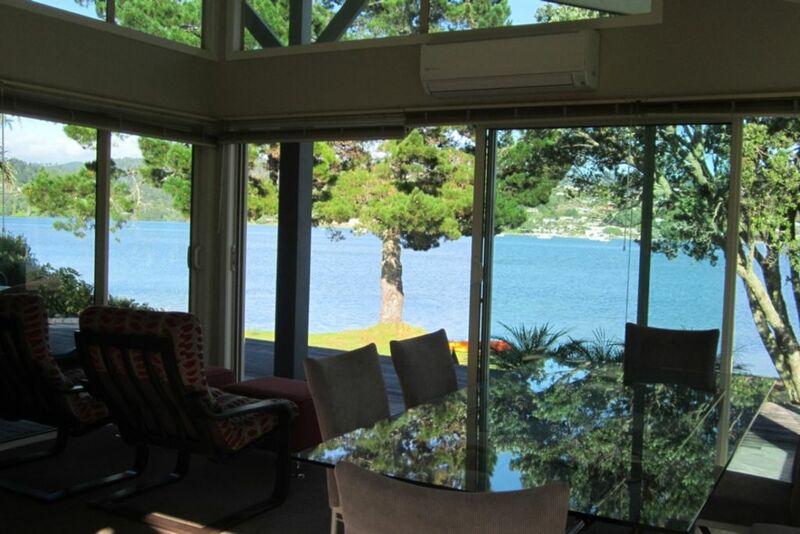 Spectacular views of harbour, Tairua and the hills beyond. Two large decks, one to sit and view the sun setting or the boats on the harbour, and the other with the private courtyard feel. Up to the minute kitchen with all necessities, modern bathrooms and very restful main bedroom with its own private deck. Large decks off all living areas and bedrooms with outdoor furniture to sit back and take in the views. A wonderful stroll around the estuary takes you to the beachfront in a few minutes. Two minutes walk to the ferry to take you to Tairua, a special event while in Pauanui. Bikes available for getting around Pauanui. This is the best most magnificant spot in Pauanui to have a truely luxurious break. Ten night minimum stay over Christmas/New Year period. Step off the front deck onto the reserve and water with little sandy beach just a few steps away.